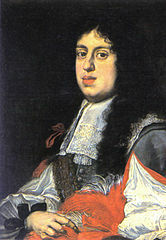 Cosimo III de’ Medici, Grand Duke of Tuscany (1642-1723) was the son of Ferdinando II de’ Medici and Vittoria della Rovere. 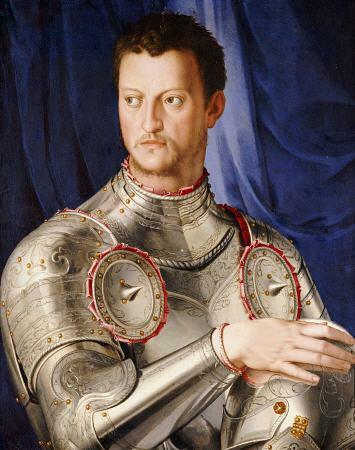 He was a vigorous patron of the arts, concerned to uphold the splendor of his court and the prestige of Medici patronage. 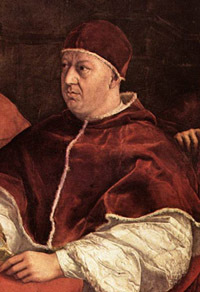 The considerable breadth of his interests in learning and the arts was influenced by the example of his uncle, Cardinal Leopoldo de’ Medici, and by a brilliant entourage, which included his secretary (from 1662) Apollonio Bassetti and the Florentine dilettante architect Paolo Falconieri. The bibliophile Antonio Magliabechi was his librarian, and the archivist and biographer of artists Filippo Baldinucci worked at his court. His interests were also stimulated by his youthful travels; in 1656, at the age of 14, he visited Rome in the company of the artists Stefano della Bella and Livio Mehus. On 20 June 1661 his marriage to Marguerite-Louise d’Orléans was celebrated in Florence; the splendor of the accompanying festivities is preserved in Stefano della Bella’s etchings, Il mondo festeggiante. 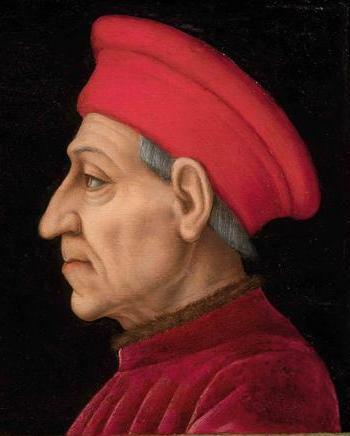 The marriage had been arranged by his father in the interests of an alliance with France, but the incompatibility of the couple was soon evident, and as a means of easing tensions Ferdinando sent Cosimo on further travels. In 1664 he travelled in northern Italy; between October 1667 and May 1668 he travelled in Germany, where he met Queen Christina of Sweden in Hamburg, and in the Low Countries; from September 1668 to November 1669 he travelled in Spain, Portugal, England, France and the Netherlands. In England, Samuel Pepys saw him in London and noted in his diary for 5/15 April 1669 that he seemed ‘a very jolly and good comely man. Also in England he acquired topographical paintings and sat to Samuel Cooper for his portrait in miniature; in Leiden, on 22 June 1669, he met Frans van Mieris. Cosimo acquired a lasting interest in northern European art and returned to Florence one of the most widely travelled princes in Europe. Through his agent, Francesco Terriesi, he ordered English books and paintings, including portraits by Sir Peter Lely and the portrait of the Duchess of Portsmouth by the miniaturist Richard Gibson. He subsequently commissioned many pictures from van Mieris, including the Sleeping Courtesan, though on one occasion the painter disappointed him by refusing, as uncongenial, a commission to paint an episode from the life of the Jesuit St Francis Xavier. In 1667 van Mieris complied with Cosimo’s request for a Self-portrait, which, together with those of Gerrit Dou and Gerard ter Borch, was added to the collection of artists’ self-portraits begun by Cardinal Leopoldo. Cosimo’s interest in the careers of Florentine artists is reflected by his establishment of the Accademia Fiorentina in the Palazzo Madama in Rome, where Florentine painters and sculptors trained under the direction of Ciro Ferri and Ercole Ferrata. This was crucial to the development of the Baroque in Florence, and the style of Cosimo’s court, the 'Stile Cosimo terzo', blends the grandeur and seriousness of the Roman Baroque with the Mannerist elegance of Florentine court art. Ciro Ferri was himself the most distinguished artist patronized by Cosimo and in 1675 began the renovation of the choir chapel in Santa Maria Maddalena dei Pazzi, Florence. Cosimo also commissioned from him 14 tondi of the Stations of the Cross (three, Montelupo, SS Quirico e Lucia all’Ambrogiana; one, London, V&A) for the garden of the convent church of S Pietro d’Alcantra, near the Villa d’Ambrogiana, Montelupo, which were executed to his designs by students at the Accademia, among them Giuseppe Piamontini and Giovanni Camillo Cateni. Cosimo sent both Giovanni Battista Foggini and Massimiliano Soldani to study in Rome; Foggini succeeded Pietro Tacca as court sculptor, and also directed the Galleria dei Lavori, creating those elegant works in hardstone with which the Stile Cosimo terzo is particularly associated. Soldani was trained for the mint, in Rome and Paris (1682), and created outstanding medals, coins and elegant small bronzes for the Medici court. The architect Alessandro Galilei, who served as Superintendent of Buildings, also enjoyed Cosimo’s patronage. Among Florentine painters, Cosimo’s tastes ranged from Carlo Dolci, whose religious paintings presumably appealed to his extreme piety, and Anton Domenico Gabbiani to the specialist in still-life painting Bartolommeo Bimbi. Bimbi’s paintings of specimens of flowers and fruits, painted to adorn the casino, La Topaia, at the Medici Villa di Castello, reflect the scientific interests that Cosimo shared with other members of his family and with his physician, Francesco Redi, and which are also present in Bimbi’s portraits of natural curiosities, such as animals born with two heads. A similar interest, or a taste for the bizarre, attracted Cosimo to the work of Gaetano Zumbo, as represented in his wax relief of the Plague, presented to Ferdinando II. 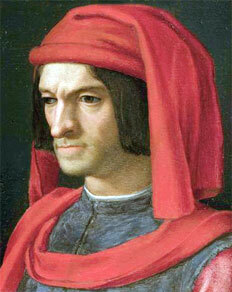 Cosimo commissioned two similar works from the artist. As a collector Cosimo continued Cardinal Leopoldo’s work of systematizing the family collections, seeking to enlarge them wherever possible. The sculpture collection was reorganized, and in 1677 three Classical statues, the Wrestlers, the Knife Sharpeners and the Venus de’ Medici were transferred to Florence, all currently in Uffizi from the Villa Medici in Rome. In 1681 Falconieri, acting as art agent, was urged to redouble his efforts to find more artists’ self-portraits, and a request to the painter Anton Domenico Gabbiani to inspect a picture by Veronese in Rome in 1718 shows that Cosimo’s desire to enrich the family collections continued into his declining years. Cosimo was formally separated from his wife in 1674, and thereafter the public image of the increasingly corpulent Grand Duke was that of a deeply religious man whose piety became more pronounced. 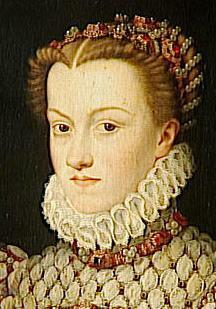 In Florence he introduced ever stricter legislation to impose his standards of morality on his subjects. In 1713 his son and heir Ferdinando de’ Medici died without issue, as a result of which it was foreseen that the male line of the Medici would terminate with his dissolute second son, Gian Gastone de’ Medici. 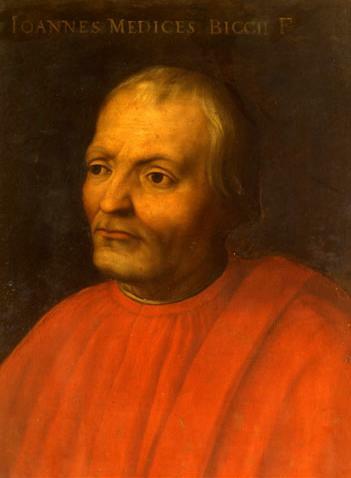 Cosimo negotiated an agreement that the succession should pass to the House of Bourbon, though in the event it passed to the House of Lorraine.